Junior Sarah Slaten has been on staff for one year, and has been awarded Best of Sno on two of her stories. During her year in photojournalism, 3 of Sarah's pictures for the workxfamily competition won National Excellence Awards. Sarah loves her pets, writing and sharing her opinion, and rowing, exclusively in that order. Since joining the journalism team two years ago, Sarah has made it her chief goal to take enough rowing pictures that Mr. Winter can't refuse to cover it in the yearbook. 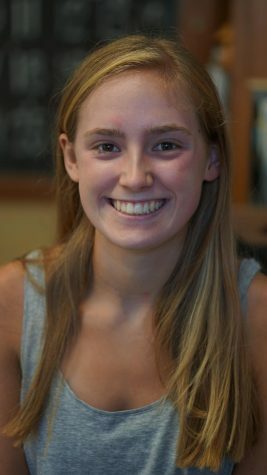 Sarah plans to major in Psychology in college, and hopes that she can continue writing in some way, shape or form even after she leaves the Shield.